The extra junk in the trunk from the case gives the Yoga a three-stage kickstand that folds up when not in use, not to mention a little extra space for stereo front-facing speakers and a 9000mAh battery. Lenovo claims that it makes it much easier to grasp one-handed, and based on the small amount of time I had with a pre-production model at Mobile World Congress, I'd have to agree with them. That said, the unconventional design isn't for everyone, and you can probably find a similarly-equipped Android tablet for a little more dough if you're bargain hunting. 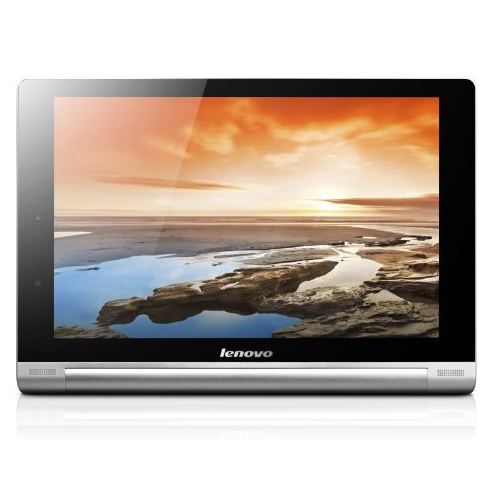 The Yoga tablets have been updated to KitKat (4.4.2), but Lenovo's software skin doesn't have the best reputation. This 16GB model comes with a MicroSD card slot and an 8-megapixel rear camera. As usual, Amazon is offering free two-day shipping to Prime customers. (Everyone else should qualify for free standard shipping.) This looks like a sale, so I wouldn't expect the discounted price to stick around for very long.